Gov. Terry McAuliffe plans to announce Friday that Virginia will restore handgun reciprocity agreements with nearly all states, in a stunning reversal of firearms policy that angered Republicans and gun rights advocates across the nation. 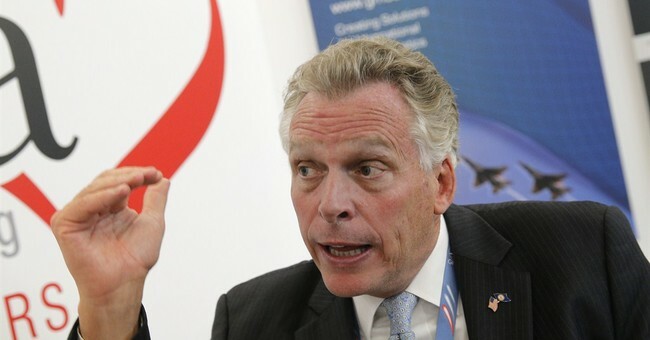 The about-face is part of a deal that McAuliffe (D) struck with Republican leaders one month after Attorney General Mark R. Herring (D) severed the right for gun owners in 25 states to have their concealed carry permits recognized in Virginia. In exchange, Republicans will agree to some concessions, according to McAuliffe’s office and the office of House Speaker William J. Howell (R-Stafford). State police must be present at all gun shows to administer background checks in private sales of guns on a voluntary basis. Anyone subject to a permanent protective order for a domestic violence offence will be prohibited from carrying a firearm for the two-year life of the order. The policy changes will come in the form of bipartisan legislation before the General Assembly. On January 18, the Virginia Citizens Defense League, a state-based gun rights group, held their lobby day in Richmond, where its president, Philip Van Cleave, noted that three Democrats (Sens. John Edwards, Lynwood Lewis, and Chap Petersen) in the state senate supported SB 610, a total recognition piece of legislation, which would have edged them closer to the two-thirds majority needed to override an expected McAuliffe veto; the House of Delegates already has a Republican supermajority. Editor's note: I have the unfortunate disposition of being horrible at math. You need 27 senators to override a veto, not 24. I've updated the post to reflect the changes. Sorry about that, folks.